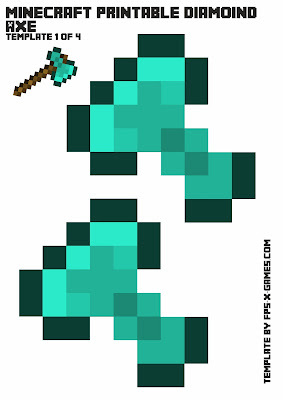 Create your own Minecraft diamond axe with the FPSXGames printable papercraft templates. 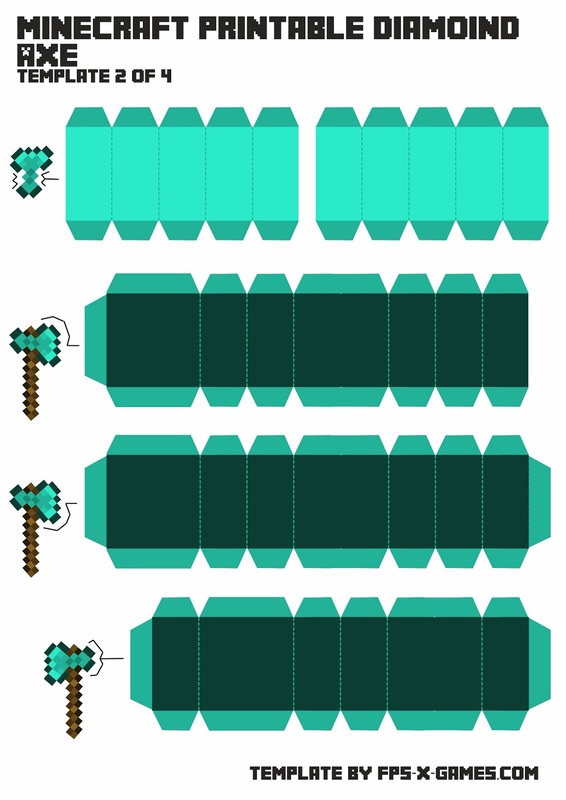 If you need help creating this Minecraft diamond axe then please leave a comment below. Some good ideas, I'll look into that, thanks. 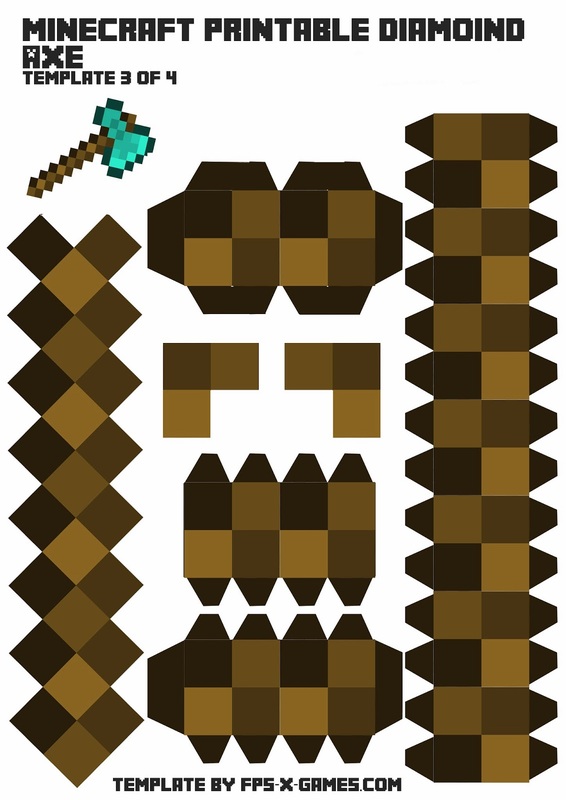 Do you have large steve mask's? Like the villager mask's my son is having a minecraft party the week-end. Yeah sure. Steve Mask - All Other Masks - Party Ideas Be sure to use the search or tag option in top right of site. Have a great party. How did you make these? 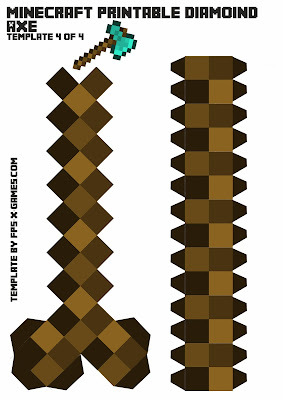 im new at this stuff, im experianced at papercraft but idk how you made this, can you teach me so i can amke my own? Hi, I'll do my best. I'm trying to sort out a YouTube video witch I'm sure would help lots. 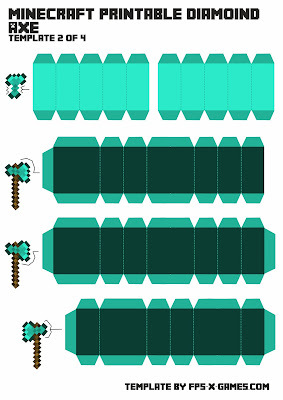 Template 2 of 4 are the sides to the axe head and the small diagram's show where each part goes. As for the stick it's a little harder, I recommend printing and cutting the templates out and play around with parts before commuting to glue.